In a video posted online which quickly went viral in Malaysia, Najib sang a Malay-language version of the 1970s song “Kiss and Say Goodbye,” with the lyrics changed to criticize Mahathir’s governing coalition. “It’s kind of surreal to see someone who brought down his party, who has been indicted in pretty much all media around the world, indicted in the US, indicted in Malaysia, to be out and about and to be able to make himself look like … an antihero or even hero among some segments of the population,” Pua said. “Once people hear how much money was involved and how (Rosmah) misused the money, support will disappear,” he said. 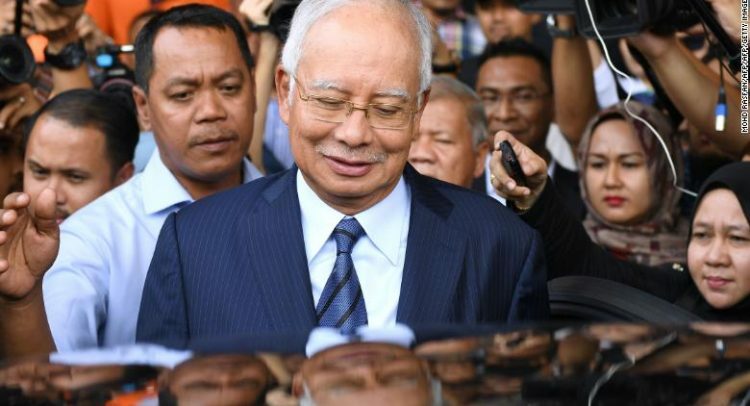 Chin said that while he expected Najib would be found guilty on at least one of the charges, “he will not be going to jail anytime soon,” and he would appeal every step of the way. “The earliest the entire process will finish will be sometime in 2020 or 2021,” Chin added. “The whole point is to remove Najib from Parliament, if he is found guilty he will lose his seat before the next general election,” which is due to take place before September 2023.